Caroline joined Wace Morgan in 2015 as a Solicitor, having been a partner in her former firm. Her focus is primarily on providing legal services in the Bishop’s Castle area, dealing with buying and selling Residential Property, Wills, Lasting Powers of Attorney and Probate. For anything outside her own areas of expertise, she can refer clients to other lawyers from our offices in Newtown or Shrewsbury, some of whom will attend at Bishop’s Castle by prior appointment. She qualified as a Solicitor in 1992, after earlier careers in publishing and catering. Prior to Wace Morgan she worked in the Bishop’s Castle area, focusing on Family Law, moving back to Conveyancing and Private Client work from 2013. 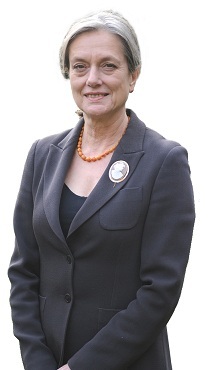 In her spare time Caroline enjoys ballroom dancing, cycling, gardening and spending time with her grandchildren. We are one of the largest and longest established firms in Shrewsbury, providing legal services to the people of Shropshire, Mid Wales and, indeed, nationwide. Our team of lawyers provide experience across a broad spectrum of legal services. “Wace Morgan Solicitors”, “Wace Morgan Tomleys Solicitors” and “Wace Morgan Tomleys Solicitors incorporating Snows” are trading styles of Wace Morgan Ltd, registered in England and Wales under number 09646631. Registered Office: 21 St Mary’s Street, Shrewsbury, SY1 1ED. A list of Directors is available for inspection at the registered Office. Authorised and regulated by the Solicitors Regulation Authority, SRA No. 623618. Wace Morgan Limited is a member of LawNet and carries the LawNet Mark of Excellence. Click here to view our client service charter.